He is an IPS officer whom the saffron brigade loves to hate. 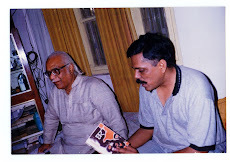 Based on his personal experience as a junior officer during the 1980 communal riots in Allahabad he wrote a novel, Shahar Mein Curfew in 1989, on the eve of his promotion as the superintendent of police of the same city in U.P..Ashok Singhal ,the general secretary of the Vishwa Hindu Parishad, felt enraged enough by its contents to engage in a public burning of the book. In 1987 he was the SP of Ghaziabad , when in the course of the Meerut riots, the state's Provincial Armed Constabulary (PAC) arbitrarily rounded up a group of Muslims from Hashimpura, packed them in a truck, killed them in cold-blood and dumped them like garbage. He and his men, cried themselves hoarse for three hours in desperate search of a survivor among the victims so that the gruesome tale of criminals in uniform could be told to the world. Having succeeded at last in finding, Babudeen, the lone survivor, he ensured top security to the victim until an F.I.R. was lodged ,against the murderous PAC men. 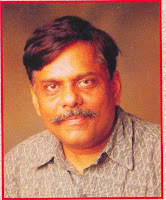 Vibhuti Narain Rai is his name. He has 20 years of police service behind him. Now a DIG, Border Security Force(BSF) he was posted at Srinagar before he took a year's study leave for research on the subject of communalism and the police force in India . Among other things Rai's interviews with hundreds of riots victims from across the country produced the startling finding that in all riots situations, Hindus consider policemen as their friends while almost without exception, India's minorities---(Muslims and Sikhs) experience them as their enemy. The implications of his finding are frightening because: loosing faith in the police may lead to loss of faith in the state itself. The candour and depth of feeling with which Rai spoke to Combat is rare for a police officer still in service . We reproduce here his interview in full. What is the specific subject of your dissertation ? The subject that has been assigned to me is " Perception of Police Neutrality during Communal Riots", that is ,the perception of the police among different strata of society. I concentrated on perception of police neutrality among all minority segments of in Indian society. How they perceive the police was my specific area of research. To collect information, I framed a questionnaire for a wide cross-section of riot victims from all over the country. The responses that I have got are startling, there is a sharp difference between the perception of the minorities and those of the majority community. Hindus responded in one way while the response of Muslims and Sikhs was entirely different. From the hundreds of responses that I have collected it is clear that during communal riots, Hindus always visualize the police as their friends while almost every Muslims and Sikhs sees them as his enemy. Now, this is a truly shocking revelation to me. Though I had anticipated that a large majority of Muslims and Sikhs might feel this way, I expected at least some sections from both communities to view the police otherwise. I was shocked to find a near universal minority response that the police are enemies. A second question I asked my respondents was whether they respondents was whether they would approach the police during a communal riot when their life threatened or their property was in danger. The responses to this question, too, were yet another revelation to me . The vast majority categorically stated there was no question of their, approaching the police. A few said they would not like to reply to this question. Among those who responded, barely 5-10 percent said that they would like to approach the police. These responses, again, are truly shocking. As a senior police officer what do you feel are the implications of such responses? The implications are nothing short of disastrous because the police represents the state. Loosing faith in police may amount to loosing faith in the state. But I must make a qualification ; one of the heartening findings was that while loss of faith in the police was near total among the minorities, many of the riot victims I interviews still expressed faith in other organs of the state like the army, the BSF or the CRPF . But if the communal virus that is so virulent spreads further, I wonder how long we can keep our army free from it ? Especially, if the army is called in so frequently to tackle communally explosive situations and jawans ate stationed for long durations, there is every likelihood of their catching the same virus. The consolation for now is ; at least, the minorities still have some faith in some institutions of the state. Now that you have completed your research and are near the end of your dissertation what are the major conclusions that you have reached ? As an insider who has been extensively researching on the issue, how serious and widespread, according to you, is the problem of communalization in the Indian police force ? Communal prejudice is so deep and widespread that I feel some drastic steps need to be taken and fast .Especially by the senior leadership of the Indian Police. Prejudice governs our actions much more than the fair play we are sworn to.I9t is heart warming to come across instances of decent non partisan police officers. But , and I say it with deep regret, such examples are more the exceptions than the rule. It is useless to decry or condemn or constantly put blame only on politicians. We in the police force have to accept that our house is not in order. It has become a routine , a fashion almost after each riot when the allegations begin coming in, senior officers defend the force and counter allege that the accusations are biased, that the have been leveled by ill informed persons, etc; that sections of society, media, social activists, minorities and communists who commonly bring these facts to the notice of the public are biased and that. in a nutshell, there accusations are malafide. Personally I feel that unless we begin by accepting that there is something seriously wrong , we may not be able to rectify it and put our house in order. Our leadership must improve. IPS officers must stop blaming the force. This applies to Bombay or anywhere else in the country. There is often a tendency in the force to seek an alibi for their conduct in the role of politicians. For instance the excuse that " we were not given the necessary orders" is often touted What are your comments on this. There is no denying that in a system of parliamentary democracy like ours, politicians play a decisive and in many cases a final role. But I have never in my whole career come across a situation where an officer who has acted conscientiously and stopped a riot, is punished for it through political action. Many times we take shelter behind politicians for our own failures. We say that politicians did not permit it. But no politician can ever ask us to behave in a communal fashion. It is not so easy for even the chief minister of a state ruled by a "Hindutva" party to openly behave like a Hindu communal fanatic and give orders according to his leanings. Could you elaborate on this ? Yes. We now have historical evidence of this kind of inaction and complicity. In 1990, when Mr. Mulayam Singh Yadav's government was in power, 300 men were stationed all around and protected the Babri Masjid in Ayodhya. Though around a hundred frenzied persons climbed the domes they could not damage it. Two years later, on December 6, 1992, we had a situation where the entire force of UP police, CRPF and ITBP, totaling 20,000 plus were "guarding" the structure . The video cassette recording by the Intelligence Bureau clearly documents that not more than 3-4,000 "kar sevaks" were within close proximity of the mosque. In such a scenario could no effective action have been taken ? The research why no action was taken lies elsewhere. The same cassette shows policemen rejoicing with their hands held high in victory when the Babri Masjid was destroyed. 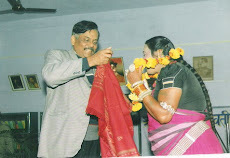 The district magistrate and other officials were dancing with delight. That is why the "car sevaks" could not be stopped. There was no desire to do so. So if you were in control, and were given an order telling you not to fire at the kar sevaks, for example, are you were not bound to follow this political diktat ? 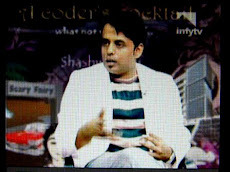 Yes I am saying that No government can give illegal orders. The Indian Penal Code; the Indian Constitution, they are supreme. And no government can give orders contravening these statutes. As a senior police officer with considerable experience, especially in communal hotspots in UP, could you consider open communal bias ? There are constant refrains from sections of officialdom that the PAC in UP is not communal. My personal evidence is to the contrary. I am constrained to say that their behaviour is like that of an RSS activist. The only difference is that the PAC jawans sport full khaki pants while the RSS cadre wears khaki shorts. 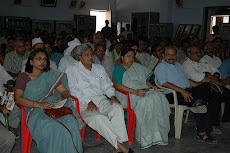 For me, one of the most glaring instances was the conduct of the PAC in Meerut. I was serving as SP Ghaziabad )neighbouring district) when the PAC picked up at least 40 Muslims from Hashimpura in Meerut and shot them dead in 1987. During the communal riots there was an official "search" of the mohalla by the army, while both the police and PAC were present. During those "searches" the PAC arbitrarily picked up Muslims from the area , packed them into a truck and killed them en route to Ghaziabad. As SP Ghaziabad, I reached the spot within a few hours. It took me more than three hours of patrolling among a field of corpses - one of the most gruesome jobs of my whole career- to locate the stray survivor of that massacre. My men and I shouted ourselves hoarse, trying to convince any survivor among the victims that we were there to save them. But how could we expect them to believe us since we donned the same hateful uniform ?Finally ,after several hours, we could reach Babudeen, one of the few survivors of that PAC assault. It was due to our relentless efforts that the F.I.R. against the PAC officials was registered in his name. He had to have top notch security for many days. The case was then handed over to the CID, UP. Eight years later I was recently told that they (the CID) have finally filed a charge sheet against officers of the PAC ! The charge sheet reached the court only a few months back. The case is now languishing with the government yet to decide whether or not to give sanction to prosecute. It may be argued that you are over-generalizing from a few cases, however shocking ? This is only one of the examples. If we try to ignore these, call them exceptions and explain it away saying that their (PAC) normal conduct is secular, it would amount to brushing the dust under the carpet. We will have to accept that something wrong with the PAC. In almost every riot in UP over the past 20 years the PAC has been indicted. Personally, I feel that such repeated allegations call for drastic steps to improve the PAC. Another ghastly case is the conduct of the Bihar Bhagalpur, especially in the villages of Loghain and Chanderi where 100 Muslims were slaughtered in cold blood. In Loghain particularly, conduct of the police and the administration was truly shocking because the bodies of those slaughtered were recovered only one and a half months later, buried in a field over which cauliflower was being grown. The reason was that the officials of the district police and administration, located barely 20 kilometers from the site, just kept on denying the incidents despite repeated allegations especially in the media. You can imagine the killing of over 100 persons in cold blood within 20 kilometers of officialdom and both the police and administration trying to hide it. That was the height of callousness. There were serious allegations against the Bihar police for their gross conduct. On a recent visit to Bhagalpur, I was also told that only one ASI has been charge sheeted. I strongly feel that action should have been taken against the senior police officer on duty also .punishing an ASI or a head constable is not enough. The SP or the DSP, the IG, commissioner or DIG, the DM, punishing someone at the top is a must. Why ? To send a strong message down to the lower levels of the police force and the administration ? Exactly, that way a clear message is sent down. If you punish the SP, if you tell the DM and the SP that if there are riots you will be accountable, there will be no riots. I strongly believe that if a riot breaks out and is not controlled within 24 hours, the DM and the SP should both be placed under immediate suspension. What you are implying then is that any communal riot any where in India can be effectively controlled by the administration and the police within 24 hours if they desire to do so .If they do not, they should be held directly responsible for the failure? Yes ,absolutely. Recently, I attended a session at a training course for probationers. It was the unanimous of all senior officials present that no communal riot in India can last for more than 24 hours without the consent of the state. I have repeatedly made this proposition at every forum that I have addressed : In any city or the state of the country , a riot can be controlled within 24 hours unless the state wants it otherwise .By the state I mean the forces which represent the state whether it is police or the district administration or local governments. Indian society is not a hostile society like west Asia, Europe or other parts of the world where sections of civil society are fighting the state with the use of weapons. Few situations like that prevail in India, the exceptions being terrorist infested areas like Punjab, Kashmir and the northeast . In the rest of the country, if the police and administration are unable to control a riot a riot within 24 hours. it only means that our actions, conduct and behaviour need introspection. It is my strong personal view that it is the deep-rooted communal bias in the police and the administration that prevents us from controlling communal flare-ups within 24 hours Statistics also bear this out. Muslims have been the worst sufferers, the victims of every riot since independence. Some 20-25 percent of those affected might be Hindus but over 75 percent are Muslims. Similarly ,it is Muslims who constitute the large majority of victims of police bullets in each riot. Despite this, statistics also show that more Muslims are arrested before ,during and after a riot than Hindus. How can this happen, unfailingly, each time, unless there is deep-seated communal bias ? What kind of action do you think is needed to put the house in order as you put it ? The action will have to be manifold. For example, I would recommend that ,first anf foremost , minorities must be given proper representation in the police force. We must have reservations for this. This kind of affirmative action has been adopted in countries like the USA and the UK for blacks and other racial and ethnic groups, and they have found it useful. In Indian society, which is a plural society composed of so many ethnic, linguistic and religious groups, I think that fair representation of all these groups is a must. It is absolutely necessary.I find these arguments utterly baseless. In fact , I feel that if there is a representation within the police force of members from each segment of society, it will help them to understand "the other point of view." If there is representation of Muslims, Sikhs and Christians among policemen posted at the district level , I am sure there will be a marked change in the overall behavioral pattern. I feel certain of this. What have we achieved by not having reservation ? Despite recommendation after recommendation made annually by the National Police Commission, why are we reluctant to implement this basic safeguard ? May I give you a tragic example of what the lack of reservation can do? Within days of the 1980 communal carnage at Muradabad, the then UP chief minister, announced the creation of five battalions of a special unit , the Vishesh Sewa Dal, "especially for the protection of minorities." Seven years later, it was the 41st PAC battalion, consisting of these same five battalions of the protection of minorities that was responsible for the atrocities at Hashimpura. Can there be a clear example of what lack of reservations can do ? Could you explain how a more representative force will make a difference at a practical level ? Our police functions on the basis of minimum strength. For example, the PAC of Uttar Pradesh will not be split in less than a section and the BSF will not be split in less than one platoon. A section means 11-12 persons. So, imagine if these 11-12 persons are stationed at one particular place, and out of this number there are 2-3 belonging to the minority community. They sleep together in one barrack, relax together, dine together. Through all this, a sort of brotherhood, develops that affects their behaviour in a communally tense situation also. You say that a quality leadership within the police force can make all the difference in controlling a communally tense situation. What is needed to ensure this quality leadership ? Force are run by their leaders. As Napoleon has so rightly said, "There are no bad soldiers only bad generals." So, leadership not only makes a substantial difference, it is the most vital, the most decisive factor in the functioning of a force whether we are talking of the police, the paramilitary or the army. If the leader becomes communal , his actions are tainted with bias, it is certainly going to reflect in the behaviour of the force also. Certain interventions are needed. Among the remedies, I would rate training as the most important. New training inputs will have to be evolved. At the end of the police training we have to be able to create a conviction in the probationers that once they don khaki , they seize to be Hindu or Muslim. Their faith remains their individual faith but once they sport their uniform they are simply police officers with one solitary duty; to maintain law and order. You were serving in U.P. 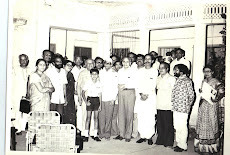 at the height of the Ram Janma Bhoomi mobilisation. Can you tell us briefly how the communal virus came to infect the various segments and institutions of society? Those were the worst years. Communalisation had flown down from the upper classes and castes to even lower caste Hindus. Those were the worst days, I had never seen anything like it. Every segment of society was deeply affected by the virus: the media, the Police, lawyers, the magistracy, the bureaucracy …. Lawyers of the Allahabad High Court had led a procession screaming pro Godse and anti Gandhi slogans during that time. 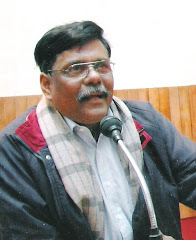 Professors and lecturers of the Allahabad University had issued letters and statements in favour of the demolition and the construction of the Ram temple. What was the role of the media during this period? The role of the media was the worst of all. News Papers like Aaj,Jagran, Amar Ujala have been severely censored by the Press Council of India for their role. For example , reports on the news of the death toll of Kar Sewaks in 1990 revealed the worst bias in the media. Hardly 25 odd persons had been killed. But thanks to the local press ,the figure reached 25-30000!Some papers began by exaggerating the figures - just another name for lying- to 500, then 1000, 2000.Within a few days these figures had reached 25-30000.You just could not believe what was happening. The aim of these publications was clear - to whip up anger and frenzy. There is the other example from Aligarh.Local newspapers around the same time published a complete lie stating that in the hospital attaché to Aligarh Muslim University (AMU),all Hindu patients had been killed. The "news" appeared one morning. Immediately riots started in and around Aligarh, spreading to neighbouring districts and villages. Imagine the effect….violence breaking out on the basis of a totally false report, maliciously printed. Within a few hours, a respected couple from Aligarh, G.P.Singh and his wife Mamta Singh (writers in Hindi) went to the hospital and found each and every patient safe. Patients even told them that after this rumour had been systematically spread, Muslim doctors and medical college students guarded them the whole night. They were actually worried that people may take inspiration from the rumour. And what happened to the newspaper? It escaped unscathed , except for a reprimand from the Press Council. And what would a reprimand do to a publication like this? It made no difference. What was the conduct of the UP police during this period? The fascist way of preparing ground and gaining support from the majority community works like this ; it results in ordinary people starting to believe that they are victims and under threat. Through insidiously planted propaganda it secures the participation of ordinary persons in violence against the "other", in the belief that they are actually defending themselves. The media, especially in that period served the fascist cause admirably by printing blatant lies. You said that part of your research work was to explore how the RSS functions before, in and during a riot situation. What are your findings in this regard? The most recent example of the RSS manipulation of the mass psyche was evident in Hubli (Karnataka) in the flag-hoisting controversy. 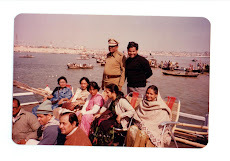 I was there by January 19, several days before Republic Day, as part of my research. It gave me first hand knowledge yet again, of the manner in which lies are assiduously propagated, and a myth systematically sown deep into the mass psyche. It bore close similarly to the myth and lies that were manufactured for the Ramjanmabhoomi mobilisation. Until about 1984-85, we always read or heard the words Babri Masjid used to describe the monument around which Hindutva forces had launched their mobilisation. 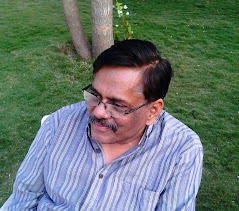 This was the case with the private as much as the official, government-controlled television and radio media.Then, gradually , the terms of reference changed ; it first began to be referred to as the Babri Masjid- Ramjanmabhoomi dispute; then to Ramjanmabhoomi - Babri Masjid dispute ;finally by the time we reached 1990, most of the media- including the government controlled television and radio- had began to refer to it ad vivadit dhancha (disputed structure). Similarly, in Hubli, the idgah maidan had been given in 1922 on a 999 year-long lease to the Anjuman-e-Islam. Since then the location has been referred to as Idgah Maidan. Even all the cases that have been filed contesting the claims of ownership, including the one by the RGSS (Rashtriya Gaurav Samman Samiti) refer to the location as Idgah Maidan. But now, suddenly, they have found a different name. There is a local historical figure, a symbol of resistance to British imperialism, Rani Chinamma. A statue of this historical figure, a women locally respected for her struggle, has suddenly been installed within 100 yards of the structure at the crossroads. She is a powerful local symbol who has been sought to be appropriated by the local forces of Hindutva. Now this park which has for 72 years been called Idgah Maidan , suddenly been re-named Rani Chinamma Maidan ! The local press has followed suit and begun to refer to it as Idgah Maidan-Rani Chinamma Maidan. I recently told a friend in Hubli that very soon it will be renamed Rani Chinamma Idgah Maidan and finally, a disputed Maidan. This is how the RSS creates a mythical dispute, works on the minds of a vast majority of Hindus who then begin believing falsified accounts and accept them to be truth. दंगे भारत के माथे पर कलंक है ! दंगों पर भारतीय भाषाओं में काफी कुछ लिखा गया है, लेकिन विभूति नारायण कृत शहर मे कर्फ्यू इस अर्थ में सबसे अलग है कि रचयिता ने ऐसे दंगों को एक वरिष्ठ पुलिस अधिकारी के रूप में निकट से देखा और प्रामाणिक चित्र उपन्यास में खीचा ! विभूति का यह उपन्यास मैंने हिन्दी में ही पढा था ! बाद में मैंने इसका बाँग्ला में अनुवाद कराया, जो मासिक"भाषा बन्धन" के पूजा विशेषांक में छपा और अब ग्रंथ मित्र प्रकाशन से यह पुस्तकाकार छपा है! बांग्ला में यह औपन्यासिक कृति बहुत समाद्वत हुई है! इसके बारे में नवारुण भट्टाचार्य ने लिखा है, "शहर में कर्फ्यू एक विस्मयकारी द्स्तावेजी उपन्यास है . इसको साथ बाँग्ला ही क्यों, भारत की किसी भाषा की रचना से तुलना नहीं हो सकती ! सांप्रदायिक दंगे किस प्रकार होतें हैं और कौन इस नृशंसता के शिकार होतें हैं, यह जानने के लिये शहर में कर्फ्यू को पढना पडेगा !" नवारूण ने जो लिखा है, उसी में बांग्ला के आलोचकों और पाठकों की राय अंतर्निहित है! मेरी राय भी ! पुलिस सेवा में रहते हुये राज्य और जनता के रिश्तों पर जिस बेबाकी से विभूति ने कलम चलाई है वह मेरे लिये विस्मयकारी है !अपने बेबाक वर्णन विश्लेषण में विभूति ने पुलिस को भी नहीं बख्शा है ! विभूति एक व्यक्तव्य में कहतें हैं कि सांप्रदायिक दंगों के दौरान पुलिस और फौज का काम देश के सभी नागरिकों की रक्षा करना है, हिन्दुत्व के औजार की तरह काम करना नहीं है ! इस बेबाक वक्तव्य में ही हम विभूति की विलक्षणता और विशिष्टता का सन्धान आसानी से कर सकतें हैं ! विभूति की बेबाकी से सिर्फ मैं ही नहीं विस्मित हुई हूँ ! अनेक अन्य लोगों को भी भरोसा नहीं है कि पुलिस सेवा में वरिष्ठ पद पर रह्ते हुये उन्होंने सांप्रदायिक दंगों पर इस तरह कलम चलाई है ! इसीलिये मुस्लिम इंडिया के संपादक शहाबुद्दीन विभूति को रिटायर्ड पुलिस अफसर लिखतें हैं ! यह तथ्य दीगर है कि वे अभी भी पुलिस सेवा में हैं ! संप्रति वे उत्तर प्रदेश में अतिरिक्त पुलिस महानिदेशक (एडीजी) हैं ! विभूति ने शहर में कर्फ्यू तब लिखा जब इलाहाबाद में वे एस पी सिटी थे और उसी समय इलाहाबाद का पुराना हिस्सा दंगों की चपेट में था ! उसी दंगे की दरिदंगी विभूति के अनुभव संसार का अंग बन गई ! विभूति को भारतीय पुकलिस अकादमी की एक फेलोशिप भी मिली, जिसके तहत उन्होंने पिछली शताब्दी के आखिरी दशक में शोध भी किया ! फेलोशिप के तहत वही शोध प्रबन्ध है- सांप्रदायिक दंगे और भारतीय पुलिस ! विभूति नारायण इस धारणा को गलत साबित करतें हैं कि हिन्दू स्वभाव से अधिक उदार और सहिष्णु होता है और मुसलमान आनुवांशिक रूप से क्रूर होता है! वे यह भी बतातें हैं कि दंगों में मरने वालों में 70 प्रतिशत से ज्यादा मुसलमान होतें हैं ! विभूति बहुसंख्यक समुदाय के मनोविज्ञान की बात करतें हैं ! उनका यह मानना है कि इस देश में सांप्रदायिक दंगे नहीं रोके जा सकते ! शहर में कर्फ्यू में लेखक बताता है कि दंगे और उसके बाद लगने वाले कर्फ्यू के दौरान सबसे ज्यादा तकलीफ कौन उठतें हैं ! उपन्यास बताता है कि सईदा यानि एक औसत मुस्लिम औरत 13 गुना आठ फीट के कमरे मेँ किस तरह अपने पूरे परिवार के साथ गुजर-बसर करती है ! उपन्यास बताता है कि 15 साल की एक लडकी दंगे के दौरान किस तरह बलात्कार की शिकार हुयी और उसकी यातना तभी खत्म हुई, जब वह बेहोश हो गई ! इसके ठीक पहले वही लडकी एक लडके के प्रेम में पडी थी ! 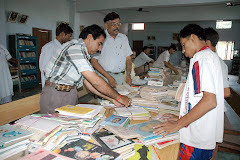 विभूति ने शहर में कर्फ्यू के अलावा तीन अन्य उप्न्यास घर, किस्सा लोकतंत्र, और तबादला भी लिखा है ! घर उनका पहला उपन्यास है ! जिसके छपते ही वे हिन्दी जगत में चर्चित हो गये थे ! शहर में कर्फ्यू उन्हें लोकप्रियता के शिखर पर ले गया ! किस्सा लोकतंत्र और तबादला भी चर्चा में रहे! चारों उपन्यासों के अनुभव संसार अलग हैं ! चारों के अनुकूल भाषा और शिल्प के सार्थक प्रयोग उन्होंने कियें हैं ! उपन्यासकार में जन के साथ प्रतिबद्धता भी है ! उनमें प्रतिबद्धता के साथ नवीनता और प्रयोग धर्मिता का मणिकांचन योग भी है ! उन्होंने धारदार व्यंग्य भी लिखें हैं ! विभूति ने पत्रिका वर्तमान साहित्य का 15 वषों तक संपादन किया ! वे आज़मगढ के अपने गाँव मेँ एक पुस्तकालय- श्री रामानन्द सरस्वती पुस्तकालय भी चलातें हैं . पुलिस मेँ रहते हुये भी रचनात्मक कार्य किये जा सकतें हैं, इसका विरल उदाहरण विभूति नारायण राय है! Yadi kisi ke paas srijanshil vyaktitva ho to vah kisi bhi kshetra me jaayega, apni chaap avashya chorega. Aise hi ek vyaktitva hain Vikas Narain Rai. The article has many more words of commendation and praise for Sri Vikas Narain and also goes into depth as regards his literary contributions including his epoch making drama- 1857- Bharat ka Swatantrata Sangram. Such recognition coming from one of the most honoured and revered literary and socially active person is in itself a rare honour. It is a matter of praise for the entire Indian Police Service. What is even more praiseworthy is the fact that Mahashweta’s pen has also honoured Sri Vibhuti Narain Rai in one of the very first articles. Two brothers being of such high literary capabilities, in addition to being highly successful as Police officers, are very rare to see. 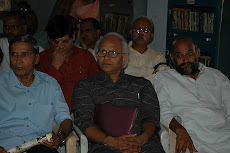 They remind me of R K Narayan and R K Laxman, the two brothers who have made a unique place in the pantheon of Indian cultural scene and have both been honoured with the Ramon Magsaysay award one after other. Samvedi police avadharna se ve arjit karenge, yehi hamari kamna hai. ( It is my wish that he achieves a lot more through his sensitive police perception). This holds true for Sri V N Rai, immaterial of whether it refers to Sri Vibhuti Narain or Sri Vikas Narain. Hats off to such talented people. 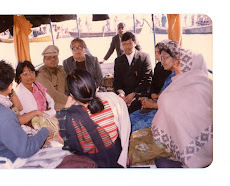 Mahashweta Devi is the best known women writer today in our country. Her famous works include Hazar Chaurasir Maa, Aranyer Adhikar,Rudali, Dakate Kahini and Agnigarbha. She has been decorated with such illustrious awards like the Bhartiya Jnanapith, Magsaysay and the Padma Vibhushan, the country’s second highest civilian award. She is also one of the foremost activists in India, particularly as regards the rights of the tribal and the so-called aboriginal people. 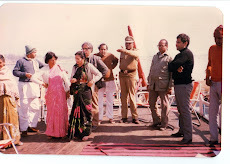 She has also been writing a regular column in the Sunday Hindustan (Hindi) for quite some time now. 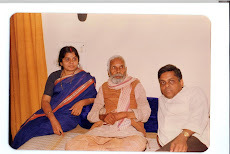 In the edition of 27th May 2007, which was one of the very first one of this series, she chose a person who needs no introduction either in this State or in the entire country for his dedication and commitment to the cause of secular philosophy. 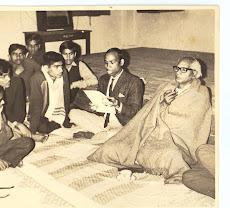 Sri Rai has done so much in one life that many would not be able to accomplish in many (if I may say so as a Hindu because Sri Rai is an atheist and as such does not believe in rebirth which we Hindus are so apt to go for. In fact, this might be the reason for this workaholic if a person labouring day and night, engaging himself in umpteen number of activities.). 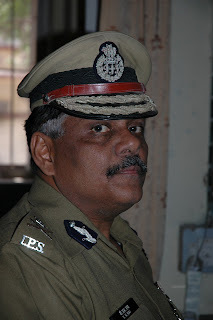 Sri Rai is a police officer, and a very senior police officer at that. For this reason his house should be flush with lots of decorations of wealthy nature and shall be stinking with the neo-rich image of those who have joined these services to rake in money and make a naked show of it. 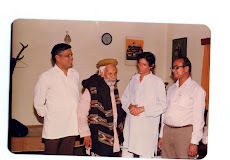 Instead, his house gives the image of being that of a professor of Hindi, because there is not a wardrobe in the drawing room that is not full up to the brim with books of all authors, all genres, all countries and all ideologies. 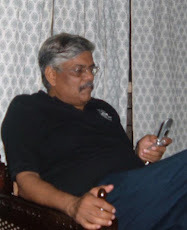 In addition, to make the picture complete, instead of gossiping with idiot-looking wheeler-dealers, one would find Sri Rai sitting quietly in his chair with some book in his hand, engaged grossly in it as if he has a lecture waiting for him. Sri Rai is a unique police officer and we are all proud of him. Though not agreeing with some of his theories, hypothesis and ideologies/ ideas, I have the highest regard for this person, as have all the other officers of the Uttar Pradesh police. 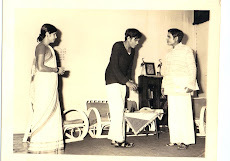 I thank Mahashweta ji for having chosen the right person for bestowing the honour because Sri V N Rai deserves it all. विभूति जी से एक दशक से भी ज्यादा समय से परिचय रहा है . निस्संदेह वे अपने ढंग के आदमी हैं . पुलिस अफ़सर और लेखक दोनों रूपों में वे आपको वैचारिक ईमानदारी के नए प्रतिमान गढते दिखाई देते हैं . महाश्वेता जी ने विभूतिनारायण राय के बारे में जो लिखा है वह उनके लेखकीय व्यक्तित्व और उनकी सामाजिक प्रतिबद्धता के साथ पूरी तरह न्याय करता है . 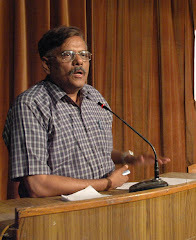 I have seen Mr Rai as SSP Alahabad,his work may appreciable but his novel "shahar me curfew" portraits muslims as victims but as a former resident of Allahabad i can say with all my knowledge that its not true it is one sided only & is not justified with hindus who are real victims since muslims cry a lot for any problems & never retrospect them so everyone hears them &they get undue advantage of that.